The guy currently in my avatar. He reminds me of a young Malcolm McDowell. His hair is really golden-red, but looks just fine ash blond. I saw a picture where he dyed his hair brown, what sacrilege! If he had naturally blond hair, I thing he could be classified as Hallstatt. I would say Anglo Saxon approaching Hallstatt. His features are not rugged enough for Tronder as his gracile nose and long thin facial build suggest a more pure Nordic predominance. A slight Brunn admixture might represent the strawberry blond hair so would say he's a very good example of a British Anglo Saxon. In your avatar picture, he looks Eastern Baltic. I don't like his hairline or haircut. It looks like he is going bald. The other three pictures are much better. He looks like a completely different person in those-kind of reminds me of Anthony Michael Hall. What's your classification of him? I think he's a freakin' hot BABE! Whoo hoo! *whistle* I'll take him! He's one of the many male reasons I like "A Knight's Tale" so much. That man is so beautiful that I have to reply twice! He almost compares with Alexander Godunov in my top dreamy-men list. Gimme!! 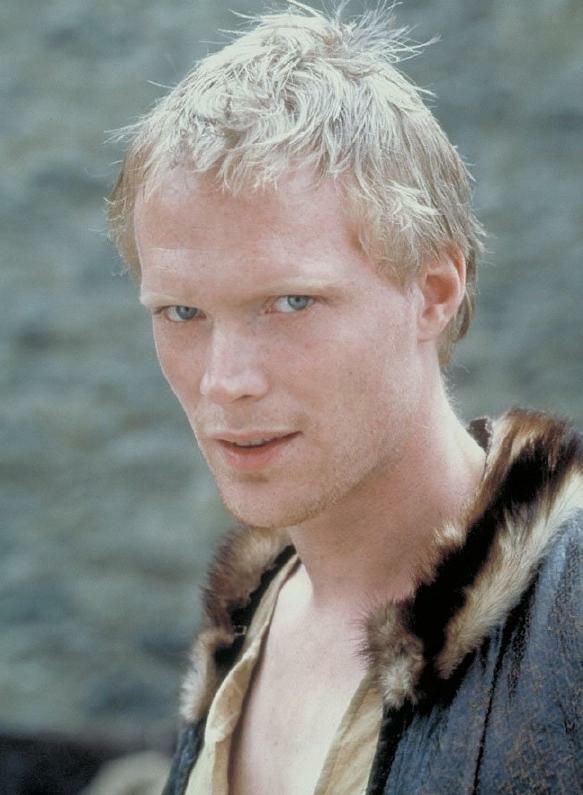 Racial classification of Paul Bettany & Greg Norman?